According to data recently released by the California Department of Developmental Services (DDS), during the third quarter of 2006 California added a record number of new cases of autism to its system, a number that represents the second highest quarterly reported number of new autism cases in the system's 37-year history. The bad news is that the data show a continuing increase in the numbers of young autistic children entering the system. The good news is that there appears to be a marked slowing of the percentage rate increases of new autism cases in younger children. Elimination of mercury from most childhood vaccines between 1999 and 2003 may be having an effect on the slowing of the rate of autism increases in young children, a rate of increase which skyrocked out of sight beginning in the early 1980's. However, the fact that the total numbers of young children suffering with autism does continue to increase - even though it is at a slower rate -in Calfironia and other states suggests that mercury preservatives in vaccines may be only one causal factor in the rise in autism among American children during the past quarter century. 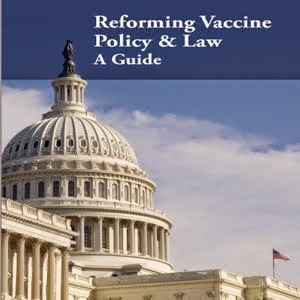 During the past quarter century, the CDC and AAP increased the numbers of vaccinations doctors are told to give American children from 23 doses of 7 vaccines to 48 doses of 14 vaccnies by age five. 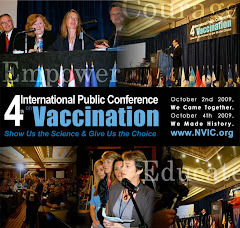 Although today almost all childhood vaccines contain only trace amounts of mercury or never contained mercury preservatives, such as polio, pneumococcal, hepatitis A and live virus MMR, chicken pox and rotavirus vaccines, parents around the nation continue to report that their children are regressing physically, mentally and emotionally following receipt of multiple vaccines. These parents report their children are becoming chronically ill and disabled, suffering with autism, learning disabilities, ADHD, asthma, diabetes, intestinal bowel disorders and other brain and immune system dysfunction. How many more children will be hurt before government, industry and pediatricians open their eyes and see what too much vaccination has done to our children? According to data just released by the California Department of Developmental Services (DDS), during the 3rd. Quarter of 2006 (August through September), California added 841 new cases of autism to it's developmental services system, a number that represents the second highest quarterly reported number of new cases in the system's 37 year history. In 1987 there were 2,778 cases in the system, by the end of 2002 the number had increased to 20,377, and today there are 31,853 persons with autism in the system. Over 84% of all persons with autism in California's system are between the age of 3 and 21. Currently, 88% of the autism population live at home. In 1999, DDS released it's now famous and historic autism caseload report that documented a 273% increase in the number of new cases of autism entering California's developmental services system from 1987 through 1998. In 2003, DDS followed up with an updated report that documented a 97% increase in the autism caseload over the 48 month period from December 1998 through December 2002. According to DDS, during the most recent 45 month reporting period from January 2003 through September 2006, there has been a 50 percent increase in the autism caseload. The rate of increase declined by nearly half over the previous reporting period. The rate of increase has slowed by close to half from 95 percent to 50 percent during the past 45 months (nearly four years). During the four year reporting period between October 2002 and October 2006 there has been a large increase in the 10-21 year old population in the system, while the younger, 3-9 year old cohort reflects the substantial, declining rate of increase as noted above. The largest increase has been in the 14- 17 year olds (127%), while the smallest increase has been in the 22 year olds and older (35%). Reasons for this phenomenon could include the lessening burden of mercury in vaccines slowing the numbers of new young children entering the system, a tightening of eligibility criteria that took effect in July 2003 (see last paragraph), and Regional Centers responding to the pressure to qualify more older persons with higher functioning autism spectrum conditions. One thing is for sure, the hidden hordes of adults with autism that needs to be accounted for in order to discredit the existence of an autism epidemic and an increasing incidence of autism, have yet to come forward or be discovered. In the 1960's through the 1970's, autism accounted for roughly 3% of the total number of new cases entering the system. Beginning in the late 1970's (1978-79) and early 1980's, the autism epidemic began, and the increase grew from 3% to 40% by July 2003. In July 2003 eligibility criteria was made more difficult for all categories of consumers, with subsequent devastating impacts on the numbers of persons with mental retardation, epilepsy, and cerebral palsy entering the system. By October 2003, autism accounted for 47% of all new intakes, and according to the latest DDS Report for the 3rd. Quarter of 2006, autism now accounts for an astonishing 76% of the intakes now entering California's developmental services system. Due to the nature of the eligibility regulations adopted in July 2003, autism has been far and away the least impacted category of conditions affected. Seems pretty clear. Mercury is no longer in vaccines, and autism keeps coming. Well, maybe it's the effect of the needle piercing the skin....no I don't think so. Maybe it's controlled by genes which influence the growth pattern of neurons in the brain... no that would be too reasonable. It's okay when things don't go your way. Has it ever been considered that just possibly what young Females in the 60's & 70's were subjected to, had altered the gene's of the egg's they had already been carrying since birth ? Maybe this area of that era needs more research as if those reproductive egg's already in the basket were genetically altered, the end result could be children of the 80's & 90's born with neurological disorders ! This all had to start somewhere and it seems sticking to the "Now" of things isn't finding resolution. There's more of an indication that it was a progressive development, that had an end result.......... just something to think about !